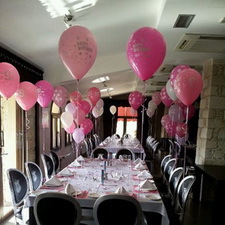 Whether you are celebrating an 18th, 21st, 30th, 40th, 50th, 60th – or any other special occasion, Hadjiantonas Winery can create a party that you, your family and friends will remember forever. 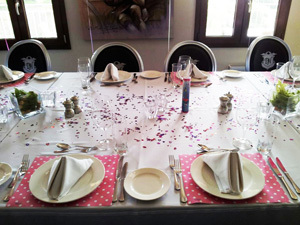 There are many different ways to celebrate a special occasion and we offer a range of attractive options, from an intimate house party to a grand gala dinner. We will work closely with you to help you plan your event and make sure your guests have a great time, whether it’s a disco, or a dinner-dance with live entertainment. As for food and drink, we can offer a choice of high-quality set menu or a totally bespoke catering service, based on your ideas and/or event theme. An extensive wine list and a wide range of cocktails, beers, spirits and soft drinks complement our catering service. Site visits are available Monday through Friday, by appointment only.